Ubisoft has located the source of the infamous "no face" glitch which has ironically become the face of Assassin's Creed Unity over the last week. It claims that this glitch, the most noticeable of all of the game's problems, could only be found in the PC version of the game, and it was only limited to two graphic cards. Ubisoft's live update blog addresses the issue. 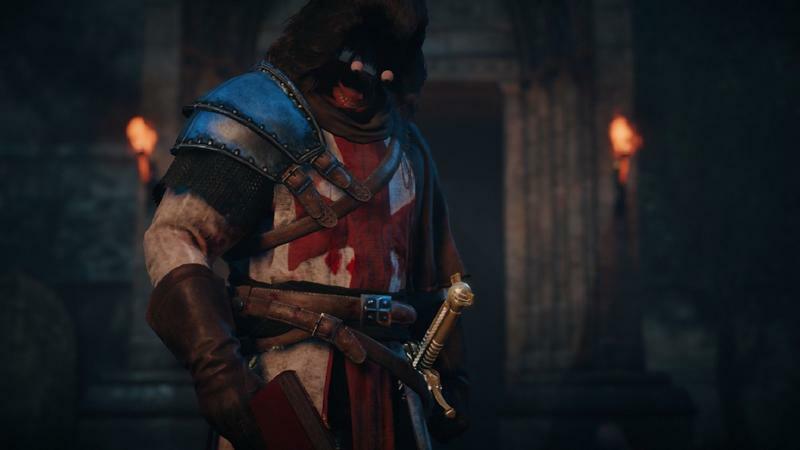 There are a number of images circulating online of character models from Assassin's Creed Unity missing textures, dubbed the "no face" bug. In order to find how players are encountering this issue we tested it rigorously and have discovered that this only occurs on PCs with one of two specific graphics cards, and in both cases the issue is resolved with the application of the Day 1 patch (as well as all future patches). This should not be affecting any players who are allowing their game to be automatically patched as recommended with updates as they are released. If you believe you are seeing this issue under any other circumstance, contact our support team and let us know! In regards to how Ubisoft overlooked all of these bugs before the game's enormous launch, it claims that many of these issues did not arise when it tested the game. That includes the face glitch, the falling through the floor glitch, the obnoxious NPC glitch, and the framerate issues. "We can tell you that we have detected a distinct discrepancy between what we observed in the pre-launch versus post-launch environment. In spite of our testing, it looks like the instruction queue is becoming overloaded and impacting performance." Ubisoft is currently hard at work making a third huge massive patch that will continue to get the game up and running to normal standards. You really have to wonder why anybody would buy physical discs anymore. I mean, I am a huge supporter of the practice, and I've always enjoyed the thought of having something a bit more permanent that will last beyond the lifetime of these companies' servers if taken care of properly. However, without the massive patches that developers are making us download, they are about as useful as a coaster or a frisbee. All that data on that blu-ray gets you nothing without the power to connect to the net. Oh well, like I said before, AAA gaming is not intended to last a lifetime, only until the following year.